The last couple of days have been so nice and warm! Summer is finally officially here and although I haven't actually had a winter since last August I'm keen for an Australian Summer and all that goes with it. 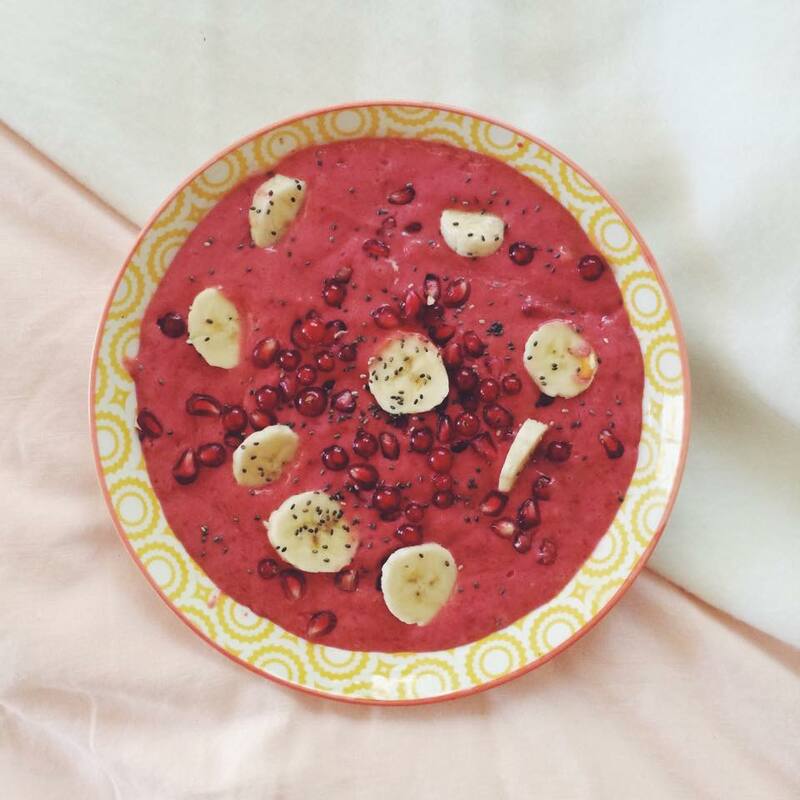 For someone who doesn't like eggs, toast or cereal smoothies and smoothie bowls are a great breakfast option. Generally I stick to one or two basic smoothies and make slight variations to it depending what it is the fridge on the day. But with all the summer fruits coming into season and the red currents in my garden finally ripening, I couldn't help but get a little creative. Here is the result!